The islands of Fiji are one of the special destinations that deserve a special place to stay. Substitute the busy resort for something a little more exclusive by staying in boutique accommodation in Fiji. 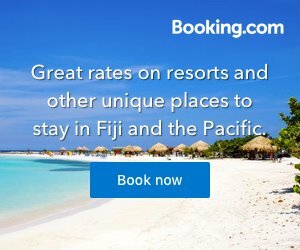 Fiji boutique accommodation comes in the form of resorts on private islands, luxurious lodges and small hotels where you are one of the very few welcomed guests. With typically less than 30 rooms, you can be sure that your needs will be catered to. 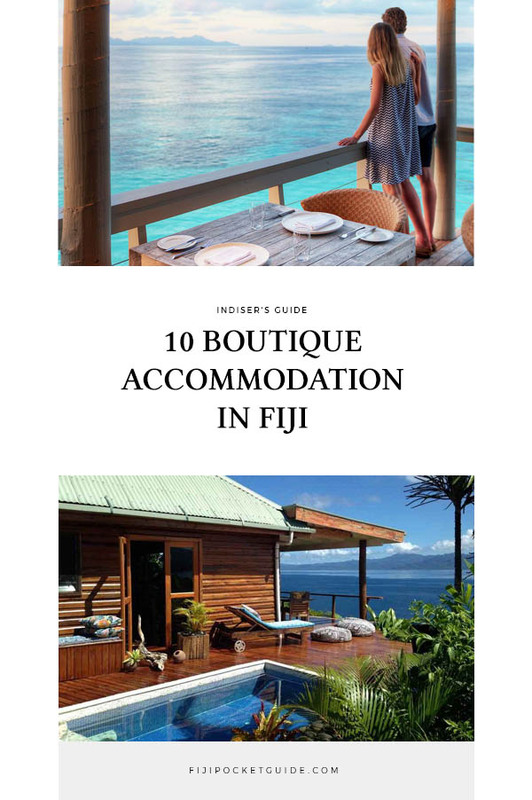 So swap the busy poolside for your own private pool or beachfront bure, the continental breakfast buffet for an in-residence dining experience, and see what type of luxury you could be living in with this list of Fiji boutique accommodation. Tucked away on the Yasawa island of Yaqeta, Navutu Stars Resort boast affordable luxury for the perfect couples’ getaway, honeymoon or wedding. 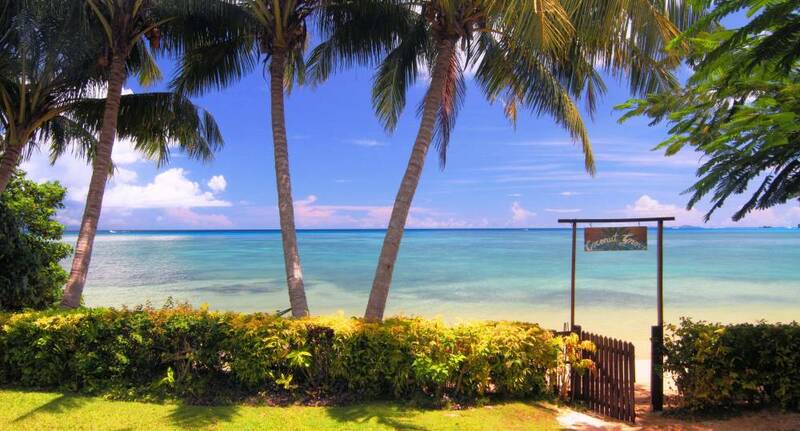 With only nine beachfront bungalows, you’re sure to experience the real “Fiji time” well away from the tourist crowds. The resort sits along three pristine white-sand beaches lined with glorious tropical forest. It’s definitely the place to go for a barefoot holiday on a quiet paradise island. Check Navutu Stars Resort out! The tiny island of Davui sits on the Beqa Lagoon just off the Pacific Harbour of Viti Levu. The adults-only resort consists of 16 beautiful accommodation, giving you the exclusive experience for the whole of your time on this paradise island. The Royal Davui Island Resort prides itself on “responsible luxury” choosing building materials of sustainable plantation stock and building its bures in ideal location to keep the old trees of the island. It’s a wonderful escape to nature for the environmentally-conscious traveller. Check Royal Davui Island Resort out! 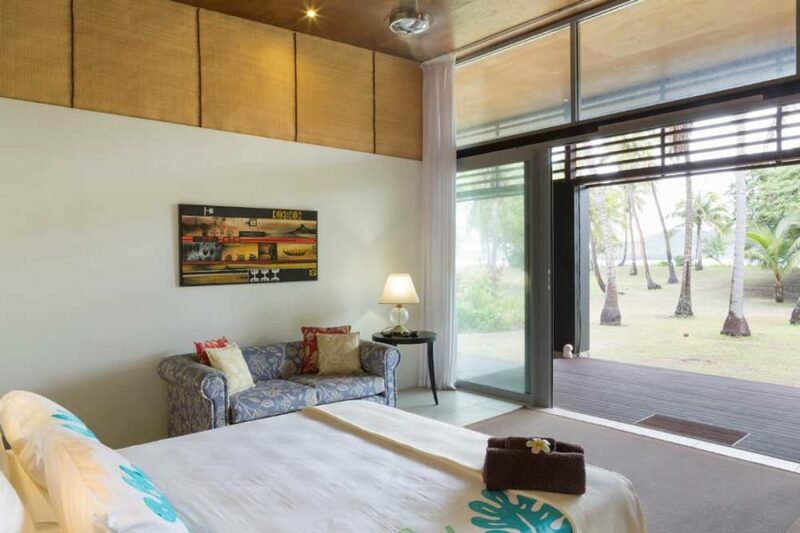 Luxurious boutique accommodation in Fiji doesn’t just have to be reserved for couples and honeymooners. A breathtaking island resort that caters to all types of travellers looking for a special holiday is Vomo Island Resort. Complete with a Kids Club, spa, the option to rent your own private island, sensational restaurants and private residence dining, your holiday will be fully catered to your luxurious getaway in Fiji. Find Vomo Island in the wonderful Mamanuca Islands. Check Vomo Island Resort out! With only three cute beachside cottages, Coconut Grove will truly make you feel like you’re in the world of your own. Swap the busy resort bars and kids splashing in the pool to relaxing evening meals on a quiet deck and heading to swim straight into the ocean on a secluded beach. The boutique accommodation on Taveuni, otherwise known as Fiji’s “Garden Island” is a glorious place to base yourself while discovering the island’s wild mix of land and ocean activities. The cottages have plenty of complimentary activities, from kayaking to snorkelling, as well as arranged rainforest walks to spectacular waterfalls and birdwatching in the pre-historic jungles of Taveuni. Find out more about this island in our 20 Wonderful Things to Do in Taveuni. Looking for boutique accommodation on Fiji’s second-largest island, Vanua Levu? 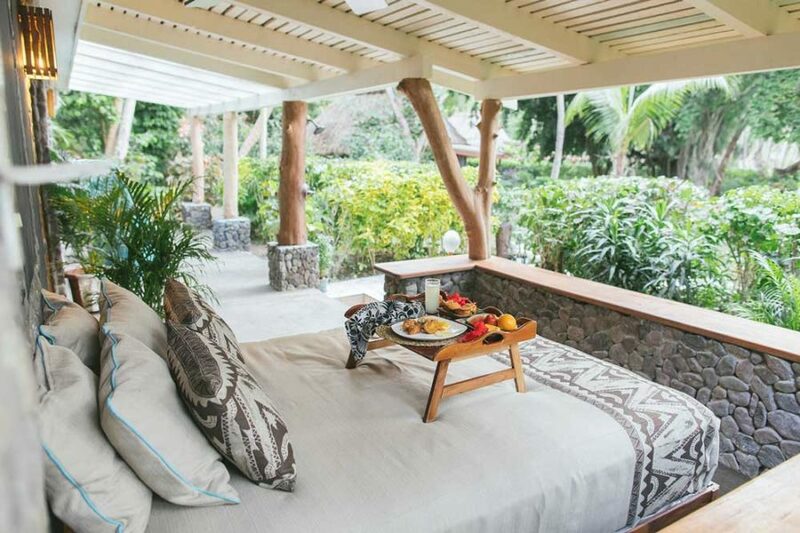 Then don’t miss this gorgeous accommodation set high among the rainforest. Naveria Heights Lodge offers three luxurious rooms within the lodge, each having its own sundeck overlooking the forest. Being just a short drive from Savusavu, the island’s hub, many of the islands’ main activities of hot springs, the Waisali Forest Park, waterfall walks, scuba diving and more, are conveniently located for an adventure getaway. Check out what to do in the area with our 12 Amazing Things to Do on Vanua Levu. Check Naveria Heights Lodge out! Your own private island awaits at Turtle Island Beach Resort. With only 14 couples can stay at this luxury resort at a time, it really feels like your in your own private island. 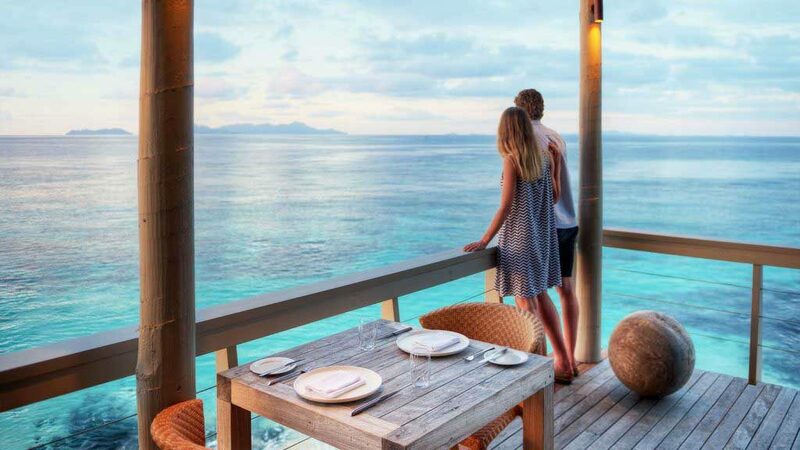 Only solo travellers and couples will get to experience the pure luxury of this resort, including its private villas, fresh cuisine sourced from the local waters, and unmatched views overlooking Fiji’s iconic Blue Lagoon. Turtle Island, otherwise known as Nanuya Levu, is located in the Yasawa Island group best discovered by seaplane so you can land right in front of your villa. 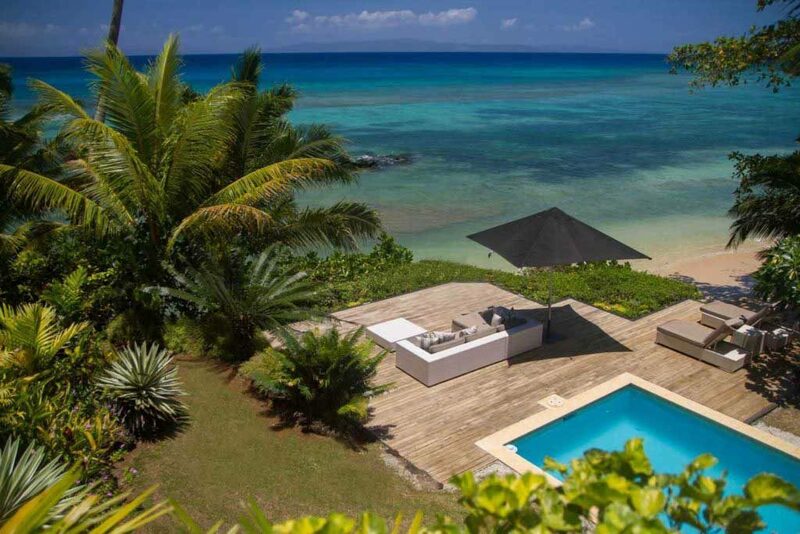 Three private villas await on the northern tip of Taveuni. Dive into your own private pool, relax on the deck overlooking the ocean with a glass of wine, and enjoy spa treatments in your very own stylish contemporary villa. 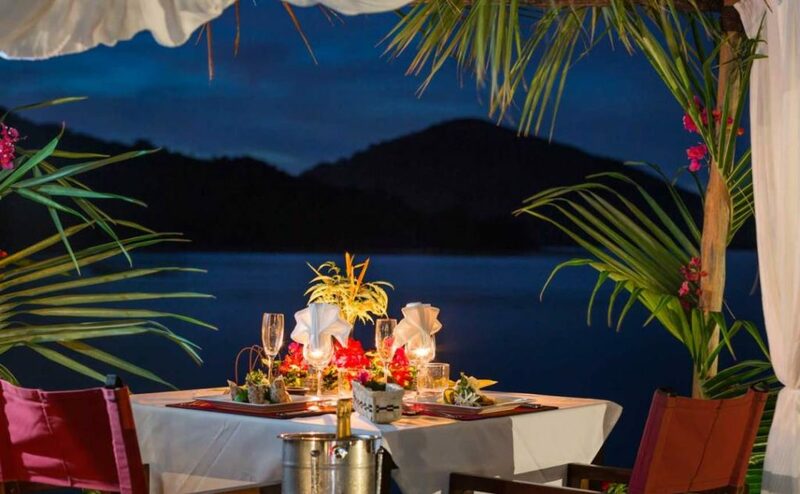 It’s the perfect place to unwind and spend some time with the one you love after a day of exploring the land and sea of one of Fiji’s most wild and wonderful islands. Check Taveuni Palms Resort out! If some of the accommodation listed so far is too “boutique”, then Likuliku Lagoon Resort offers something a little larger without the danger of feeling crowded. The luxury all-inclusive adults-only resort boasts 18 Deluxe Beachfront Bures, 14 Beachfront Bures, three Garden Beachfront Bures and 10 Over-Water Bures in Fiji! With everything included, including all meals and airport transfer to its stunning location on Malolo Island in the Mamanuca Islands, there’s literally nothing for you to do other than enjoy pure blissful Fiji time. Check Likuliku Lagoon Resort out! Located on a horseshoe island about a 20-minute boat ride from Taveuni, Matangi Private Island Resort is the ultimate getaway for those adventurous travellers looking to get off the beaten track. The unique-shaped island is made up of virgin and tropical rainforest, sandy beaches and volcanic rock faces, scattered with stunning bures, three of which are treehouse bures suspended in the forest canopy. There are many things to do on this 97 ha (240 acre) private island from snorkelling to beachside picnics to village visits and more. 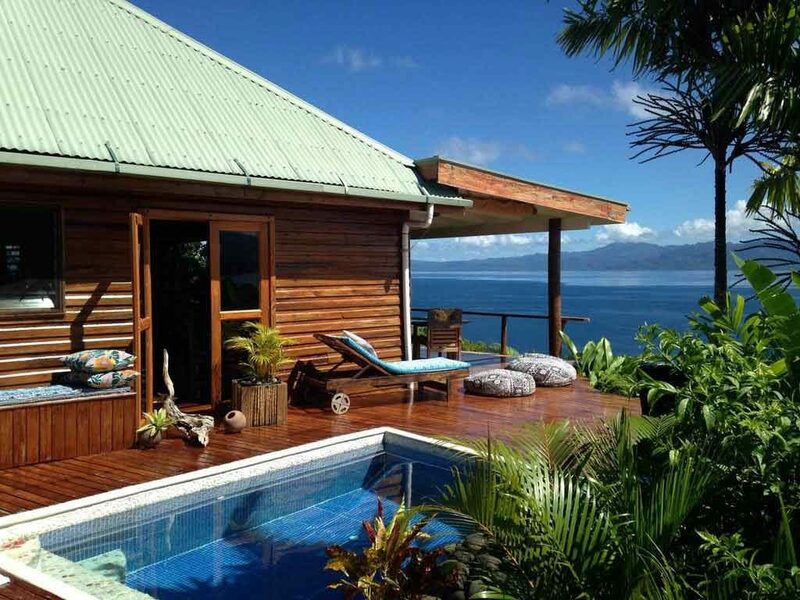 Check Matangi Private Island Resort out! 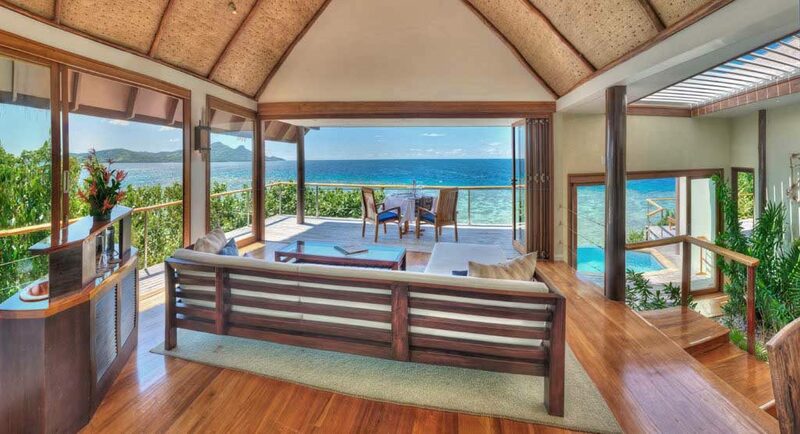 Get cosy in your own private pool villa on the stunning Malolo Island of the Mamanuca Islands. It doesn’t take long to get your luxury holiday started when Malolo Island is only 25km (15.5 miles) away from Nadi International Airport. The resort features 24 villas, as well as a few residences for larger groups with two to five bedrooms. All your needs will be taken care of with several eateries, spa, yoga pavilion and bar to enjoy in between exploring the crystal clear waters surrounding the island. 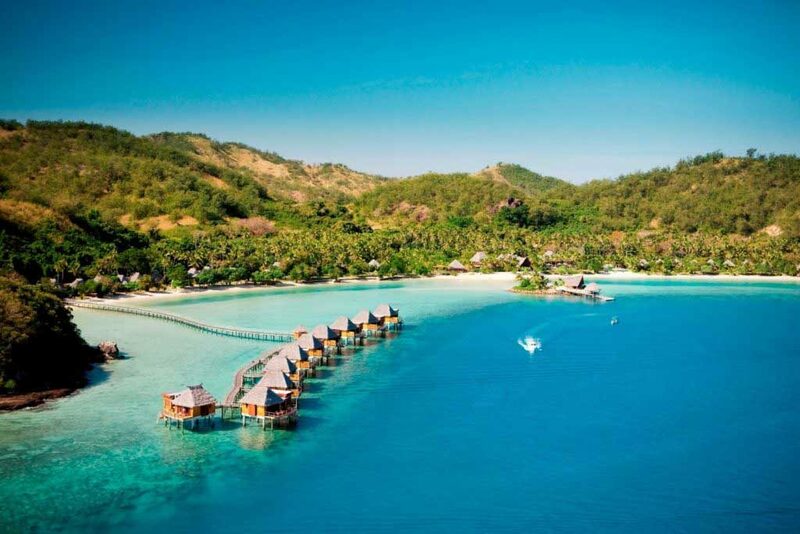 Check Six Senses Fiji out! Small Resorts in the Yasawa Islands. Although the Yasawa Islands are some of the remotest islands in Fiji, it often doesn't feel that way when sharing the beach with all the guests of a large island resort. Boutique Lodges in the Yasawa Islands. When you're somewhere as peaceful as the Yasawa Islands, staying in a boutique lodge gives you the serenity and tranquillity your island getaway deserves.